Roll your mouse around on your loved one’s faces! 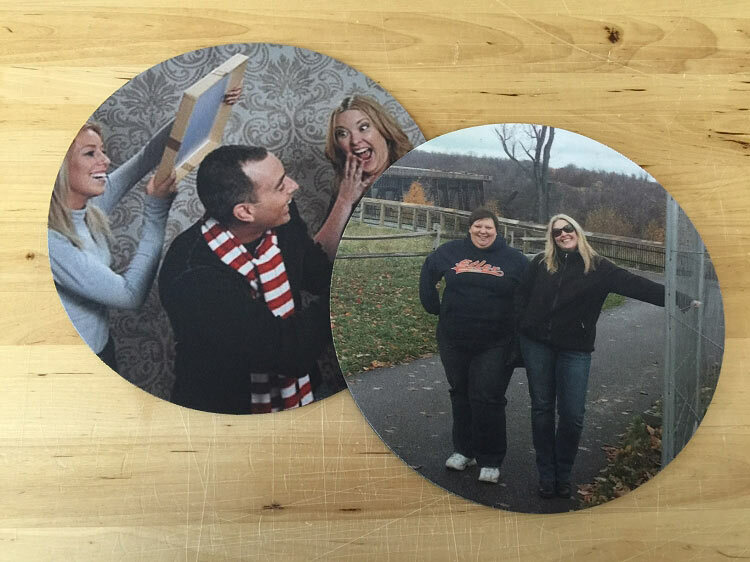 Send your favorite photo for a one-of-a-kind mouse pad! Any picture; not just faces! 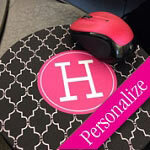 Our mouse pad measures 8" round and made from 100% spun soft polyester with rubber non-slip backer. 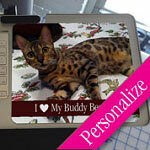 We will print your high resolution image on a mouse pad with your message. Text will be written in the font shown. 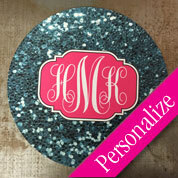 If you would like to request a custom order, please contact us to work with one of our designers. Low resolution or blurry images can NOT be used for mouse pads. We will not print any photo that is sent in blurry and does not meet our minimum standards as shown below. If you are not sure if your photo meets our standards, please contact our design team for help. It arrived on time and it was exactly what I ordered! Fast Shipping and all my requests were met. the colors and font came out clear. The item was perfect and shipped quickly! LOVE IT! I can't wait to give this to my co-worker for Christmas, she's going to love it! Not to mention the prices are VERY reasonable. Thanks for making my Christmas shopping easy this year! Fast shipping and cute item! Absolutely loved my mousepad!!! Shipping was very quick!!! Thank you!!! Super cute design for the mousepads and quick turn around time! Loved the photo mouse pad! Great quality and quick shipping.